The photojournalist Chris Arnade spent several years traveling through the United States talking to people, particularly residents of the counties that went for Barack Obama in the 2008 and 2012 election and for Donald Trump in 2016. He found the people in those counties separating into two groups, which he called the Front Row Kids and the Back Row Kids – based on where they likely were sitting when they were in school. >Intellect is primary. View world through framework of numbers and rational arguments. >Meaning (and morality) comes from careers and intellectual pursuits. >Faith is irrational. They see themselves as beyond race and gender. >View their lives as better than their parents and their children’s lives will be better than their own. >Stay where they are born. Education beyond a high school degree is via smaller state schools, community college and trade schools. >Primary social network is via institutions beyond work, such as family, geographic community and church. >Faith is central. They find meaning (and morality) through the “decency of hard work”. >They have “traditional” views of race and gender. >They view their lives as worse than their parents and their children’s lies will be worse than their own. Now I don’t argue that Front Row Kids are bad and Back Row Kids are good. As Arnade himself notes, “traditional views of race and gender’ covers a multitude of sins. I say, and Arnade is saying, that if this is how our present social order sorts people into winners and losers, the winners are going to face the wrath of the losers. 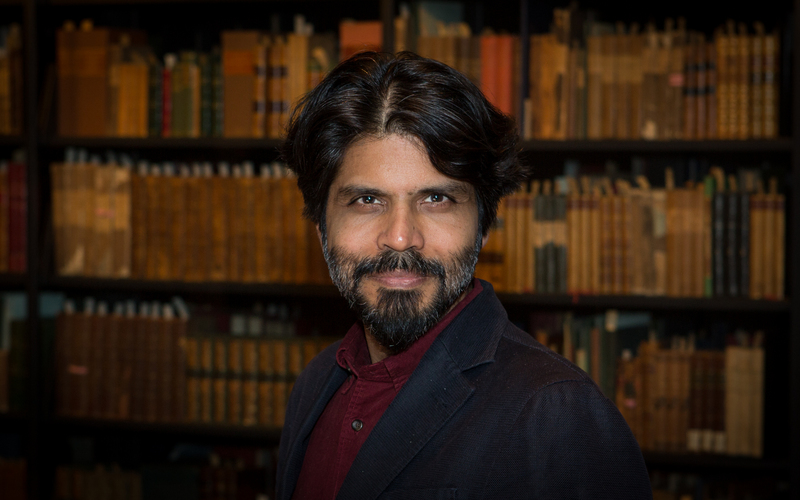 I don’t have any reason to think that Pankaj Mishra is familiar with Chris Arnade, or vice versa, but Arnade’s work maps very well onto Mishra’s thinking. Mishra says that one of the first to hold out the promise is modernization was Voltaire, and one of the first to deny that promise was Rousseau. By virtue of his intellect, wit and ability, Voltaire, a lawyer’s son in a society ruled by hereditary aristocrats, won high status, influence and also wealth by means of his talent and intellect. He was successful, witty, charming and rich. He enjoyed fine food and wine, intellectual stimulation and the company of women. He was optimistic and forward-looking. He praised the London Stock Exchange, where Jews and Christians associated freely, and the only sin was lack of money. His favored method of argument was ridicule and satire, and his characteristic expression was the knowing smile. A brave defender of religious and intellectual freedom, Voltaire despised the ignorant masses. He admired so-called enlightened despots, such as Frederick the Great and Catherine the Great, for trying to force their unwilling subjects to adopt modern—that is, French—ways of life. Rousseau was one of the first critics of modernization. He was the opposite of Voltaire in almost every way. He was unsuccessful, morose and anti-social. He hated luxury and the elite. He believed in equality and the common people. He thought Catherine and Frederick should have left the Russians and Germans alone.. He was pessimistic and backward-looking. He had no sense of humor. His ideal was an imaginary Sparta, an austere, primitive and close-knit society of brave warriors. He thought it unimportant that Spartan warriors were predatory and merciless to others. What mattered was their comradeship with each other, and also their manliness. Another theme of Rousseau, and many of his successors, is the need for manliness and the corresponding need to keep women in their place. Once again, this is an example of Rousseau wanting something he didn’t have. He was never able to fulfill the traditional role of the male, which is to be a protector and provider for women and children. The response to modernization is key to the political, economic, social and intellectual history of the past couple of centuries. Obviously not every proponent or critic of modernization fits into a Voltaire box or a Rousseau box. Nevertheless their argument lives on. Kemal Ataturk, Lenin, Mao Zedong and the Shah of Iran were the same kind of modernizers as Catherine and Frederick. They all tried to impose modernity and destroy traditional ways of thinking at gunpoint. The first important heirs of Rousseau were the German nationalists and romantics who arose in opposition to French power and French philosophy. Napoleon invaded Germany in the name of the universal ideals of the French Revolution—liberty, equality and brotherhood. German nationalist intellectuals, such as Father Friedrich Ludwig Jahn and Johann Gottlieb Fichte, fought Napoleon and rejected universal ideals. For many of them, love of Germany consisted of hatred of Germany’s enemies, such as the French, and of any element within Germany that undermined the unity of the nation. They felt let down when Germany actually became a unified nation, with the same kind of governmental bureaucracy and urbanized commercial culture as any other modern nation. German nationalism was the pattern for later nationalisms—in Poland, Hungary and Italy and later in Japan and other Asian nations. The Italian nationalist, Giuseppe Mazzini, preached an ecumenical nationalism. Every nation, he said, has its own special genius, and deserves to be independent so it can be true to its genius. Two of Mazzini’s admirers were rival Indian nationalists, Mohandas K. Gandhi and Vinayak Damodar Savarkar. Gandhi, it seems to me, represented Rousseau’s ideas at their best. He reinterpreted Hinduism in a way that related to lives and traditions of the Indian common people. He rejected modernization. He sought to foster an economy based on village life and the spinning wheel, not global trade and textile mills. The nationalism of Savarkar consisted of hatred of foreigners and little else. Savarkar’s followers said Muslims and Christians were invaders who should be driven out of India, and Jews and Parsees forced to either convert to Hinduism or accept second-class citizenship. He called on Hindus to abandon humility, self-surrender and forgiveness and embrace hatred, retaliation and vindictiveness. His program was to “Hinduize politics” and “militarize Hinduism”. Savarkar was imprisoned in 1910 for involvement in the murder of a British official and later confined to his village. From there he organized the nationalist Hindu Mararabha party with a paramilitary wing, the Rashtriya Swayamsevak Sangh (RSS). An RSS member assassinated Gandhi in 1948, probably with Savarkar’s knowledge. Indian Prime Minister Narendra Modi is a disciple of Savarkar. He is a lifelong member of the RSS and his Bharatiya Janata Party is affiliated with the RSS. He was chief minister of Gujarat province in 2002, when a Hindu mob killed up to 2,000 Muslims and drove out up to 200,000 of them. No one was ever punished. As Prime Minister, he is an advocate of Hindutva, the idea that India is a nation of Hindus, and Hindus only. Muslims are persecuted and suspected beef-eaters have been lynched. But Modi is not an enemy of modernization of modernization as such His India is perfectly compatible with economic globalization and crony capitalism. This is not unique, Mishra said. Vladimir Putin, Xi Jinping, and Turkey’s Reccip Tayyip Erdogan, not to mention Donald Trump, also combine nationalism with crony capitalism. Religious nationalism and nationalistic religion are not the only forms of reaction against modernization. Much of what we call terrorism is an expression of pure rage, without any larger purpose. Mishra’s example of a pure terrorist is Timothy McVeigh, who set off a truck bomb that destroyed a government building in Tulsa, Oklahoma, in 1995, killing 168 people including 19 children. McVeigh is often depicted as a Christian fundamentalist, probably because he is a white man of Protestant heritage with a short haircut. But he was, in fact, an atheist. He said he set off the bomb to avenge and atone for the deaths of innocent Iraqis in the Gulf War of 1993, in which he served. If children died in Tulsa, that was “collateral damage,” the same as the deaths of children in the U.S. bombings of government buildings in Baghdad. His other justification for his attack was to strike back against a government that threatened his freedom. He carried around a long quote from John Locke about how anyone who threatens your freedom threatens your life, and it is therefore morally lawful to kill in defense of freedom. In prison, he became friends with Ramzi Ahmed Yousef, who was convicted of attempting to destroy the Twin Towers in 1993. Yousef said McVeigh’s personality resembled his own more than anybody else he ever meant. Yousef was the son of a Pakistani father and Palestinian mother. His cause was to avenge the deaths of Palestinian Arabs by killing Israelis and Americans. He did not observe Muslim religious practices, such as prayer or fasting. His goal was destruction. Mishra says terrorists such as Youssef are part of a history not of Islam, but of terrorism. That history begins with the self-described nihilists in mid-19th century Russia, continues through the anarchist dynamiters and assassins of the late 19th and early 20th century and the radical leftist and Communist bomb-setters of the 1970s and 1980s, and ends with the “gangsta Islam” of ISIS. All of these different kinds of terrorists had all given up on the possibility of reforming what they saw as a hopelessly rotten society. Their only goal was to destroy the old in hope that something better might arise. Mishra, too, sees little hope in the heirs of either Voltaire or Rousseau. The only public figure he praises is Pope Francis, whose humanitarianism is rooted in a transcendent religion. Modernization is not a mere failure. The world is a better place, in many ways, than it was in the days of Voltaire and Rousseau. This is partly due to Voltaire’s ideals of science, reason and commerce, and also partly due to Rousseau’s ideals of equality and the dignity of common people. But Mishra is surely right in pointing out that the promise of an ever-rising material standard of living can’t be kept and that, even if it could be kept, this cannot provide a meaning for life.. Even the prosperous West is full of ordinary people who think their work has no meaning and philosophers who think life has no meaning. Mishra ended his book with a call for “some truly transformative thinking about both the self and the world.” This is a way of saying he doesn’t have any such answer himself. Where does Bertrand Russell fit into this? I would say that he represents the Voltaire tradition at its best. Like Voltaire, he stood for reason, skepticism and intellectual and religious freedom. He had little respect for ancient customs and traditions. His characteristic method of argument was satire and ridicule, and his characteristic argument was a knowing smile. 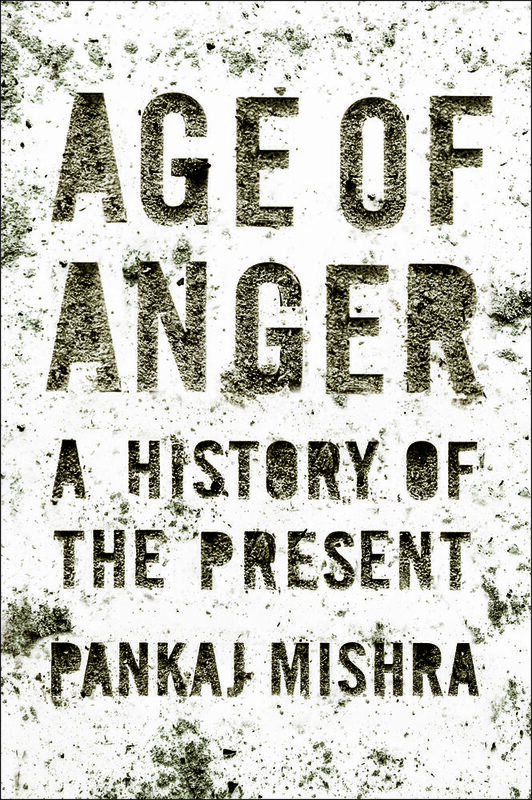 Welcome to the Age of Anger by Pankaj Mishra for The Guardian. This entry was posted on March 8, 2018 at 1:04 pm and is filed under History, Society. You can follow any responses to this entry through the RSS 2.0 feed. You can leave a response, or trackback from your own site. Brilliant scope & insights. I’m sure it will go well. May your eloquence win over your audience, or at any rate provoke lively discussion and thoughts for them to take away!